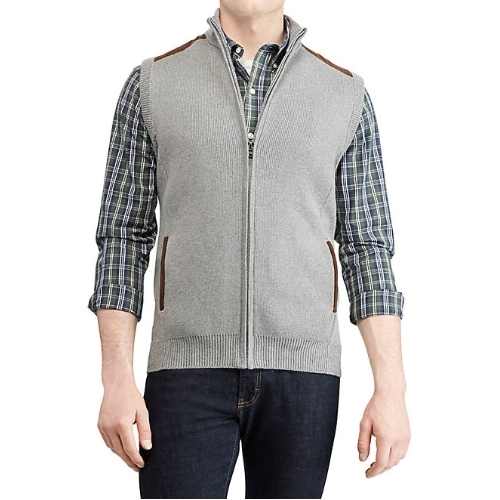 Elbow patches add a touch of old-school charm to this breathable cotton vest. Style it over anything from a long-sleeve crewneck to a button-down flannel for cold weather comfort. Full-zip placket. Ribbed mockneck. Rib-knit armholes. Satin shoulder patches. Side on-seam pockets with satin trim. Rib-knit hem. Machine washable. Shell: cotton; Shoulder patches: polyester. Imported.